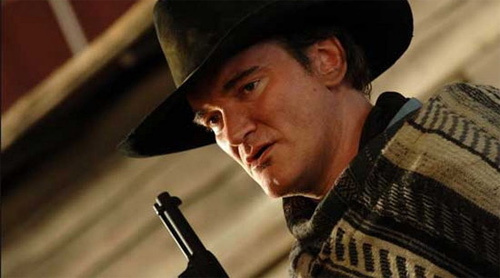 The wait is over people’s, Quentin Tarantino finally gets to direct his spaghetti western (or spaghetti southern as he likes to refer to it) titled “Django Unchained”. While you pick yourselves up off the floor, recent mumblings have confirmed Jamie Fox will play the lead role (Django) with Leonardo Dicaprio cast as the plantations sadistic owner, Tarantino regular Samuel L Jackson as the sinister slave and Christoph Waltz as the German bounty hunter who teaches Django the tricks of the trade. Filming begins in Texas mid November with a release date set for December 25th 2012. Yup, you read correct- Christmas day! So, it looks like I’m spending Christmas with Mr Tarantino, sorry mum and dad, I know you’ll understand! This entry was posted on Friday, June 24th, 2011 at 1:31 am	and posted in Uncategorized. You can follow any responses to this entry through the RSS 2.0 feed. « My Ode to John Hughes..Bueller..Bueller!